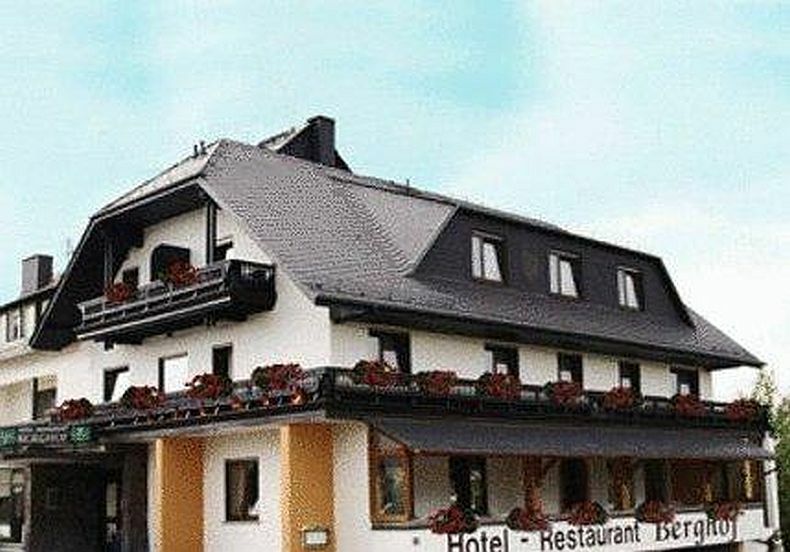 In this article I have listed top 10 budget hotels close or near to Frankfurt - Hahn airport in Germany. About a year ago I did a short but very memorable trip to Germany and The Netherlands, and my trip started (and ended at Frankfurt Hahn Airport), back then I choose to stay at Hotel Zur Morschabch, for other valuable deals please see listing bellow. Located directly opposite Frankfurt-Hahn Airport, this modern hotel in Hahn offers soundproofed rooms with flat-screen TV, free Wi-Fi access, and a 24-hour reception. Breakfast is available from 06:00. The B&B Hotel Frankfurt Hahn-Airport has brightly decorated, air-conditioned rooms with light wooden furniture and a private bathroom. All rooms are easily accessible by elevator. Rich buffet breakfasts are provided at the B&B Frankfurt-Hahn. Snacks and drinks are available from the vending machine 24 hours a day. This family-run hotel is located at Frankfurt-Hahn Airport. It offers free WiFi and a free shuttle service to and from the airport terminal, a 5-minute walk away. The 3-star Airport-Hotel Fortuna in Lautzenhausen provides bright, soundproofed rooms with wooden floors and linen suitable for allergy sufferers. A breakfast buffet is available from 04:30. A wide range of meals and snacks are available in the evenings, and drinks are served 24 hours a day. Free parking spaces are available to guests during their stay at the Airport-Hotel Fortuna. Paid parking is available while guests are away. The hotel also offers guests a charging station for electric cars. 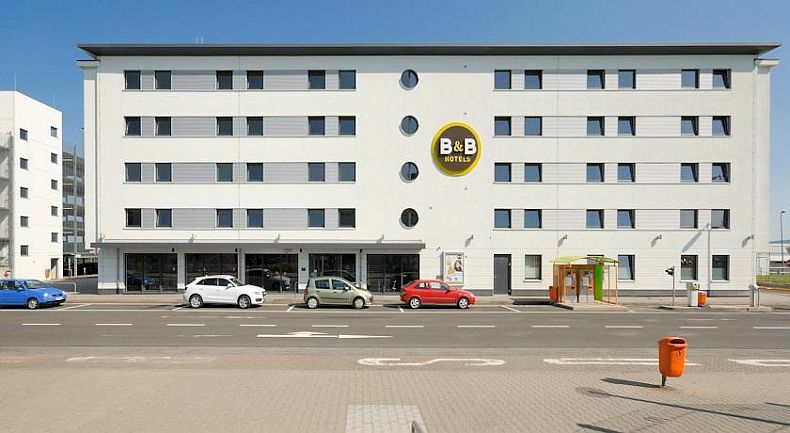 Offering a free 24-hour airport shuttle, long-stay parking, and a buffet breakfast, this hotel provides quiet rooms just 800 m from Frankfurt Hahn Airport. The Landhotel Airport-Inn provides soundproofed rooms with satellite TV, and free Wi-Fi internet access. Each room has an en suite bathroom. A big breakfast buffet is available in the mornings in the main building, just 200 m away. The hotel restaurant serves freshly prepared regional and international meals from 12:00 until 23:00. Activities near the Landhotel Airport-Inn include horse riding, cycling and hiking. Apartment Casa Verde Ferienhaus is located in Lautzenhausen, just a 10-minute walk from the GAT Terminal at Frankfurt Hahn Airport. The holiday home is a short walk from a children’s playground and bicycles can be rented nearby. This holiday home is spacious and each room is brightly decorated. There are 2 separate bedrooms, a living room with a flat-screen satellite TV, a private balcony and a bathroom with a shower and hairdryer. Guests can use the fully equipped kitchen, featuring a microwave and coffee machine, to prepare meals and snacks. There are also several restaurants within a 5-minute walk of the accommodation. Golf Club Hahn is a 10-minute walk from Apartment Casa Verde Ferienhaus and there is a shopping centre just 2 km away. The surrounding countryside is ideal for hiking and cycling. 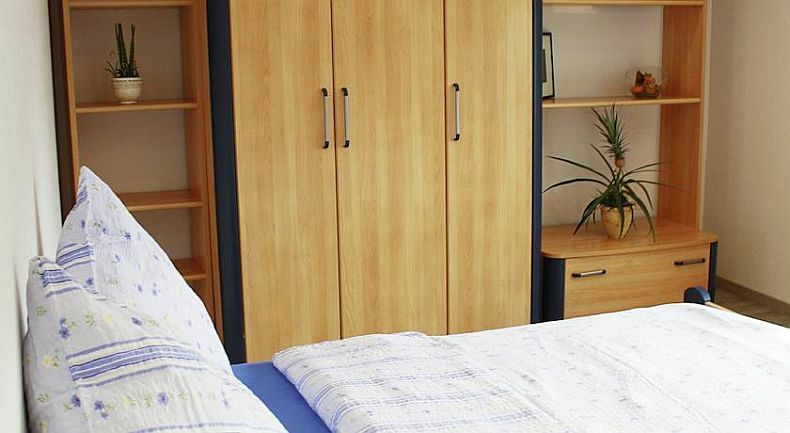 The A61 motorway is a 35-minute drive away, and free private parking is available. This stylish hotel is just 800 m away from Frankfurt-Hahn Airport. It offers a 24-hour complimentary airport shuttle service, free Wi-Fi internet and attractive outdoor terraces. The rooms at My Place Lautzenhausen hotel are all furnished in a modern style with a flat-screen TV with 50 international channels. A varied buffet breakfast is available at My Place from 04:00 each morning. This includes warm and cold dishes. From midday, the My Place bar serves a wide range of drinks, including exotic cocktails. On sunny days, refreshments are served outside on either the garden terrace or roof terrace. 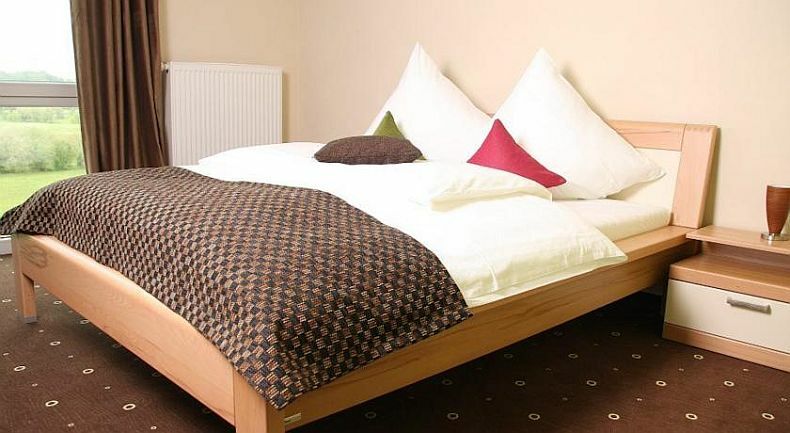 This hotel offers comfortable accommodation and great food in the small town of Sohren. It offers a free shuttle service from Frankfurt/Hahn Airport, just 3 km away. The non-smoking rooms of the Hotel Pizzeria Venezia are comfortably furnished and range from single rooms to family rooms that can accommodate up to 5 people. Enjoy a delicious buffet breakfast, available every morning for a small fee, before setting out to explore the town or the nearby Saar-Hünsruck Nature Park, just a 15-minute drive away. Reception is open 24 hours a day and can help you plan your day, in English if required. Keep in touch via a computer with free internet access in the business centre or simply relax with a drink in the bar. The restaurant serves fine Italian cuisine, including oven-fresh pizza, as well as a selection of German specialities. Enjoying a convenient location just 3 kilometres from Frankfurt-Hahn Airport, this charming hotel in Sohren offers cosy accommodation and a delicious breakfast buffet. The Garni Hotel Viktoria features comfortable rooms, furnished in a rustic style, and in a quiet setting amid the scenic landscapes of the Rhineland-Palatinate. The Viktoria also offers a free airport shuttle service which is available upon request. The Saar-Hunsrück Nature Park is just a short journey away and is ideal for hiking and cycling excursions. The 3-star Zur Morschbach offers modern rooms, a free airport shuttle service to the Frankfurt Hahn Airport,. Parking is available for a small fee of EUR 2.50 per day up to 6 weeks. It is located in Altlay, just 4 km away from Frankfurt-Hahn Airport. Each room at the Zur Morschbach has a private bathroom with a shower, satellite TV and WiFi internet access. Breakfast is available daily from 07:00. The Morschbach’s traditional restaurant offers hot meals from the Rhineland-Palatinate region throughout the day. 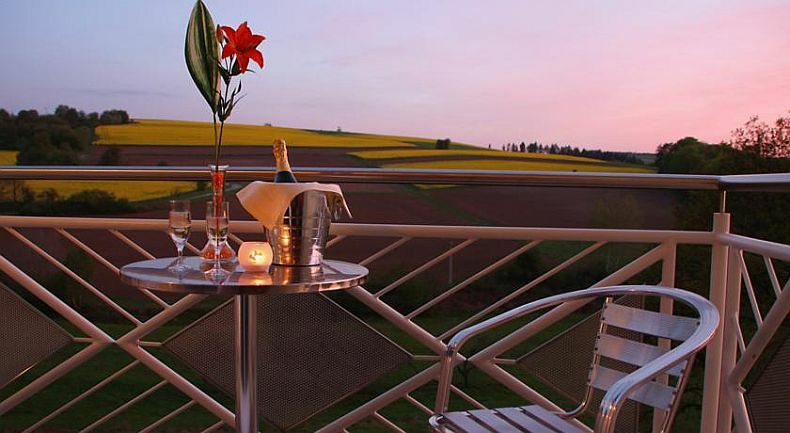 The hotel bar has an outdoor terrace, and serves German beer, Moselle wines and hot drinks. 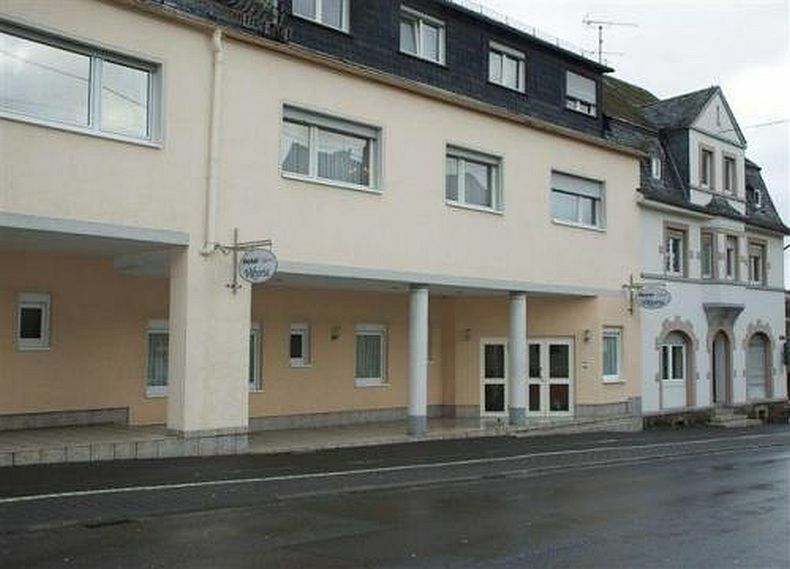 Just 5 km from Frankfurt-Hahn Airport, this hotel offers quiet rooms and free wifi. It lies in Sohren, in the Saar-Hunsrück Nature Park. 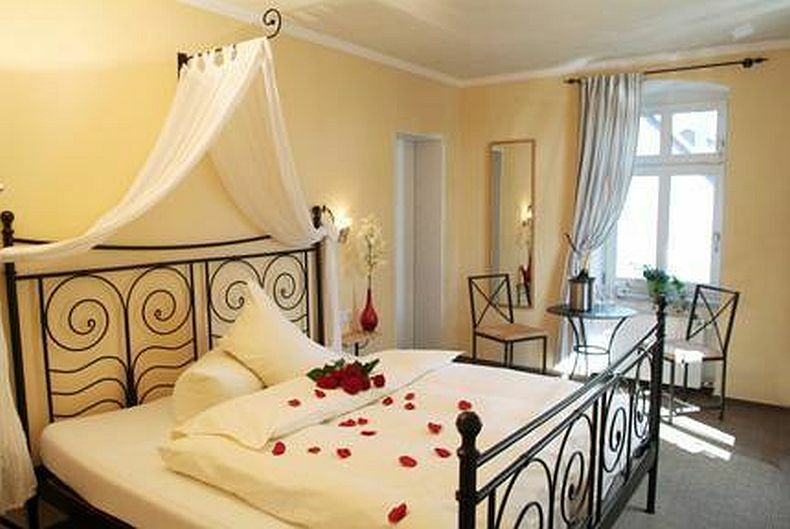 The Hotel Restaurant Berghof’s rooms feature modern-style furniture, satellite TV and a private bathroom. Many rooms have a balcony. Decorated in country style, the Restaurant Berghof serves German food and specialities from the Hunsrück region. Leisure facilities at the Berghof include a traditional skittle alley and a large sunbathing lawn. There is also an indoor swimming pool next to the hotel. 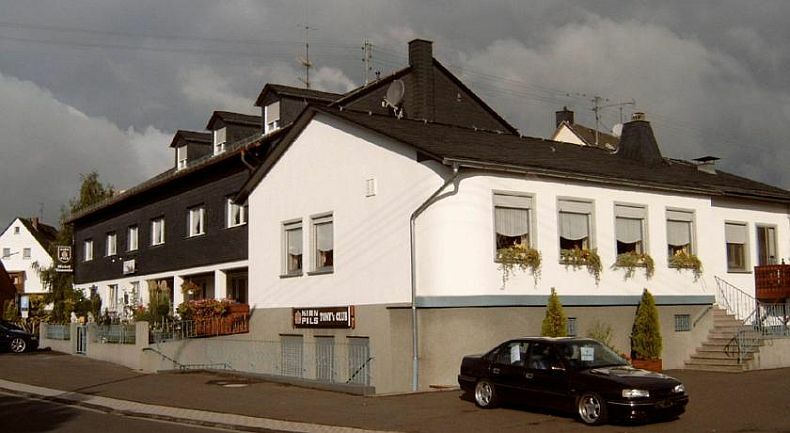 Situated in Lautzenhausen in Rhineland-Palatinate, this small hotel offers comfortable accommodation, just 800 m away from the terminal of Frankfurt-Hahn Airport. The Hotel Bajazzo’s cosy rooms are an ideal place to relax, before or after a long flight. All of the rooms are equipped with modern amenities, such as a private bathroom and satellite TV. Guests can relax in the Billiard Café, or sample delicious regional specialities in the hotel restaurant. A tasty breakfast is also available (except Sundays) at the Hotel Bajazzo for a small fee. Visitors can participate in a number of outdoor activities in the hotel’s rural surroundings. These could include jogging, hiking or cycling around the scenic countryside.